With the rumours of a smaller 7-8 inch iPad arriving soon to target the like of Nexus 7 and Kindle Fire doing the rounds, we are now hearing that Google is now interested in targeting Apple with its own 10 inch tablet, Nexus 10. A couple of days back, DigiTimes had also reported a similar bit of news quoting ‘industry sources’ but we ignored it as we thought it was well, just another rumour. But today another Chinese website, MyDrivers is reporting similar news. According to the site, the 10 inch giant tablet from Google does exist and it also went on to state some facts which it has. According to the site, the ‘Nexus 10’ would run on a quad core Tegra 3 processor just like the Nexus 7, and would arrive in two storage options of 16 GB and 32 GB. The Nexus 7 for now arrives in an 8 GB and 16 GB version. The best part of the rumour is that the Nexus 7 could be priced astonishingly low to make it competitive and the 16 GB version might arrive in for just $299. Yes you read it right. 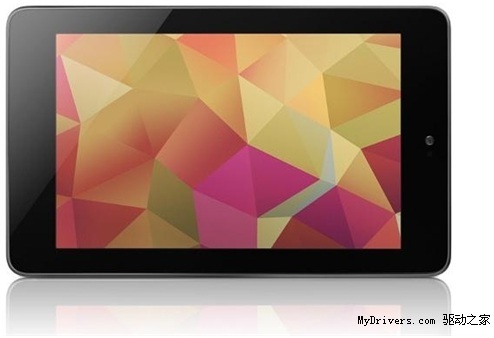 According to MyDrivers the 16 GB 10 inch Nexus tablet would arrive for just $50 more than the 16 GB Nexus 7. Well we are totally taking this piece of news with a large grain of salt as we highly doubt the facts mentioned. But if this turns out to be true, then Google could really kill the iPad. So what about you? Do you feel that Google would price its 10 inch tablet for such low price to stop the iPad? Feel free to share your thoughts with us.